My cat went missing over the weekend. 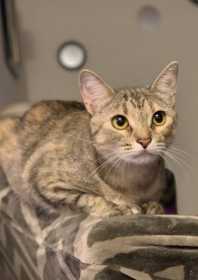 She is a beautiful ocicat with a spotted stomach, stripes on her arms and back, and reddish areas on her. She has her own Instagram account (@buffy_ocat) if you’d like to see photos of her.